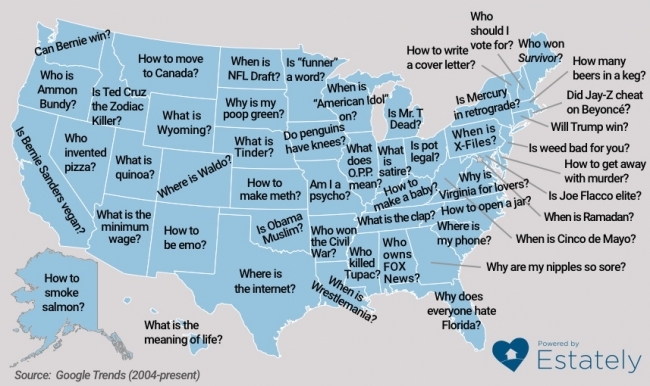 Estately maps down what question each state Googles more than the others. Using Google Autocomplete we compiled hundreds of the most common questions Americans type into the Google search bar. We ran those searches through Google Trends to determine which state queried each of these selected searches the most over the past 12 years. To be clear, the list below does not represent what each state Googles the most, it simply shows the searches each state Googles more frequently than the other 49 states and the District of Columbia.